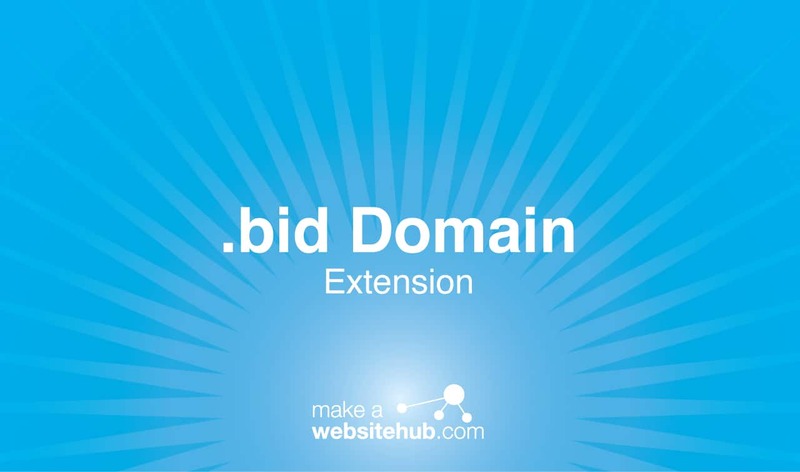 What is a .bid Domain? Since the early days of the Internet, online auctioning has been a popular way to buy and sell items. Even today, online auction sites are plentiful. If you own one of these sites or a company that’s affiliated with the world of online auctioning, you can benefit from a .bid domain. The generic top-level domain was delegated in 2014. It was specifically designed to create a market space that helps both online auction platforms and web users looking to buy. If your company auctions off items, property, or services, using a .bid domain is a no-brainer. It’s a recognizable extension that people understand. The word “bid” refers to the competitive buying process that happens during an auction. With this unique extension, you can let people know what your website is all about while setting yourself apart as a key player in the world of online auctions. These days, the market is flooded with auction sites. You can buy pretty much anything online. The sheer number of available websites can cause confusion among consumers. The .bid extension was developed to distinguish auction sites from traditional content-based websites. In just a few short years, buyers and sellers have been using the extension to set their digital spaces apart from the crowd. In turn, the extension is now associated with reliable and secure platforms. Casual auction enthusiasts and seasoned professionals alike will be more inclined to check out your website with a .bid extension. This is because it conveys a sense of professionalism. When it comes to search engine optimization, the domain can also benefit your businesses. The extension doubles as an important keyword. As a result, it can help put your website higher up on a results page for those doing research about your industry. One great thing about the .bid domain is that it’s very flexible in terms of naming. It’s a blank canvas that you can put your own spin on. Many businesses use the extension for domain hacking. Domain hacking utilizes the short, three-letter extension to create colorful URLs that are easy to remember and ready for marketing. If you own an auctioning platform, the possibilities are endless. You could incorporate the domain into your company’s branding and name. Take, for example, Big.bid or Property.bid. These two web addresses cut right to the chase and express the fact that you perform auctions. They’re also easy to slap onto a business card or implement into your website’s design. If you own a blog about auctions, you could use something like HowTo.bid. Get your creative juices flowing and you should have no problem coming up with an idea stands out. Where Can You Buy a .bid Domain Extension? As a generic top-level domain, the .bid extension is readily available from a number of different registrars. There are no use restrictions. It’s open to anyone regardless of industry. Because its such a niche market, registration rates are quite affordable. Here are some of the best domain registrars for .bid domains that you should take a look at.